Several years ago a collector came to me with a list of luxury modern watches he owned and asked, what should I buy next? Looking over his list of some 50 watches, he had a good selection of complications from the right manufacturers, a few from independents and the usual commercial ones that are always in demand. Rather than concentrating on one collecting area, he had diversified to allow for turbulence in any particular brand, it was what I would call a financially ‘cautious’ selection, if perhaps not a particularly passionate one. However, something was missing, he didn’t own a single vintage watch by any brand. After some discussion I advised he should include a selection of vintage watches and the look on his face was one of sheer horror. You see he viewed the watches as a commodity without ever becoming emotionally attached to them and so, in his opinion, the risks for buying vintage outweighed the potential financial rewards. Buying vintage watches, as with buying vintage cars, can be a virtual minefield; it doesn’t matter how much money you have, if you are not experienced or well advised, mistakes will be made. There are usually plenty of people willing to give you advice when buying vintage but this is rarely accurate and often, unfortunately, misguided. In short, you need a reliable independent guide, preferably two, or three. For those with a passion for watches who are either lucky, have researched themselves or willing to learn by costly mistakes, the rewards for buying vintage, both financial and emotional, are like no other. I agree owning a unique modern Patek Philippe wristwatch is something most of us only dream of, but if you have the money then other, similarly unique pieces can be made, or you find the company decides to make your ‘unique’ piece as a series. 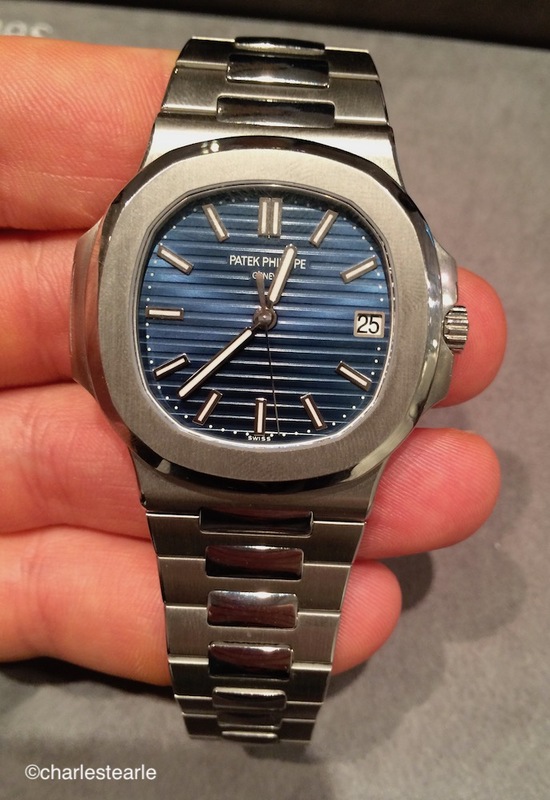 Apparently the first Patek Philippe Nautilus Ref.5711p was made a unique piece, but turned out so well, they made more. To find a perfectly preserved Patek Philippe minute repeater wristwatch from the 1950’s isn’t something that turns up often and when it does, demand is high. Imagine a watch 60 years old that has never been polished, had no restoration and been stored away, unseen and forgotten for several decades. These are the watches that keep the aficionados awake at night and make the billionaire collectors, usually hardened businessmen, go weak at the knees - to find exceptional vintage watches isn’t just about having a lot of money. To own a good collection of vintage watches, regardless if they are IWC, Omega, Rolex or Patek Philippe, takes time and usually persistence. You have to have a certain love for the art of watches. For most serious collectors, once they start to buy vintage, they rarely turn back. Many even buy two or three of the same model due to minor variations (usually with vintage Rolex) or to replace an example they already own that isn’t in quite as pristine condition. So where to start? First decide what field you are drawn to. It really has to be something you have a passion for so it’s different for each person. The most common areas of collecting vintage, certainly today, are Patek Philippe complications and Rolex sports models, both are fraught with dangers from varying opinions on condition and, alas, fakes. Perhaps though, this creates more appeal, as when you find and wear a great example, a knowing nod from another collector giving approval can easily make all the hours, or years, of searching worthwhile. You never just glance at a vintage watch the same way you do a modern one, as rarely two are the same. You want to look closer. How is the condition of the dial, case? What is the history? Where did it come from? Vintage tends to strike a compelling ‘tell me more’. While I was at a cocktail event in Hong Kong some years ago, as usual, looking around the room at the various watches being worn by the attendees, one caught my eye. It was. Vintage (early 1970’s) Rolex Daytona Ref.6239 with an exotic dial known as the ‘Paul Newman’ dial. The wearer was talking with a group of people and I just couldn’t resist finding out more so went to say hello. It turns out he had inherited it and follows the market closely, although waits for such events to actually wear it. We remain friends to this day. Vintage Rolex sports watches are perhaps the most ‘used’ vintage examples as they are relatively robust and as long as you are not foolish you don’t have to be too concerned about damaging it. Although I have seen clients wear their multi-million-dollar vintage Patek Philippe watches, they do so only on an occasional basis as the idea of damaging one would be just too heartbreaking. 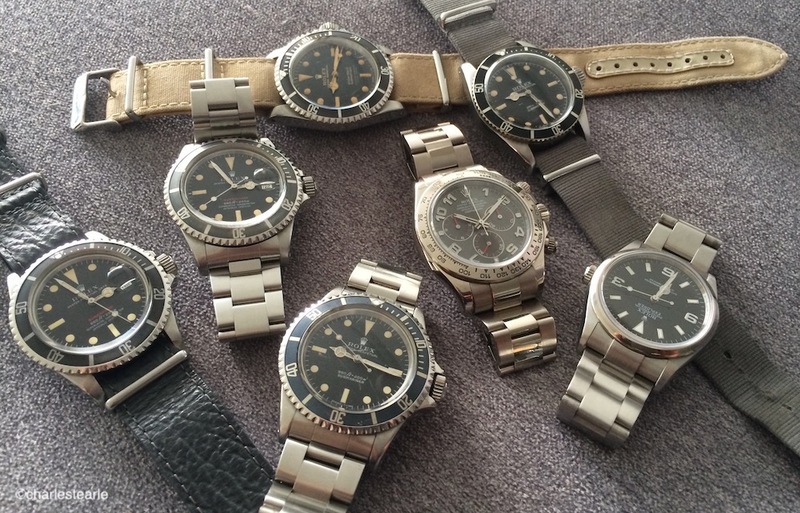 For those who, like the collector I met, own so many modern watches they want to diversify, or if someone likes the idea of owning something different and has an interest in vintage, I advise before you start, research yourself, or find a reliable person who is knowledgable and ask for advice. Only recently a friend reached out to me on an opinion if the vintage Breilting they were about to buy was worth the money; it was a fake. Other than that, finding several people and asking all their opinion is often the safest way, just be aware when using online forums, in this business everyone considers themselves an expert; yet very few are. Alternatively there are numerous dealers located worldwide for vintage watches, although there will only usually only be a few that stand out in terms of their stock and knowledge, and again, dealers tend to stick together to protect themselves so do your research, sometimes the biggest, including those that have written books, are the baddest. Buying directly from a vintage dealer has the advantages of receiving a guarantee should it stop working, and being able to buy immediately at a fixed price. One the other hand, auctions are a good alternative way for collectors to start as they offer, usually, a large variety at one time and potentially more competitive prices. Just do you research first as auction specialists can easily, and often, over-over-estimate the value of an item by the time auction fees are added, in addition they are are human and can make mistakes on originality. Make sure you view the watch in person, research the model taking into account condition and if it has box/papers, set your highest bid amount calculating auction fees and don’t exceed that figure, it’s easy to get carried away on the day and then regret it. Believe me, I know. Most people tell me if the auctions cover against buying fakes or vintage with replaced parts; read the fine print. In world of real estate the guide is always location, location location, well, in watches, it should be research, research, research.